Eco Tech is nationally licensed, insured and certified to perform emergency water and flood damage restoration in New Jersey. Call right away to get us involved early so damage is reduced and property is saved! Mold can grow in as little as 24-48 hours so having an experienced team of experts makes all the difference. 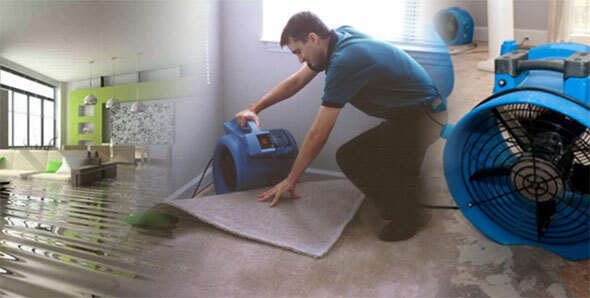 Using air movers and dehumidifiers to dry the structure is essential for property preservation. We provide fast and efficient water extraction using the latest techniques and equipment. All billing will be submitted to the home or business owners insurance carrier for payment. A refundable deposit of $475 will be collected at the time of service in the form of a check or credit card. The check or credit WILL NOT BE DEPOSITED/CHARGED unless the insurance claim is denied. A full summary of billing will be submitted to the owner PRIOR to commencement of work.